Peace of mind has a new name - The Entry Guardian wireless video door phone! See who is at your door from anywhere inside your home. 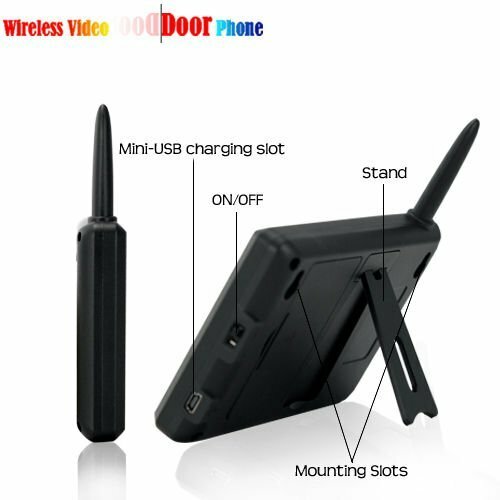 Secure and easy to use, it even lets you remotely open electronic doors to let guests in! Know what is going outside while safe and comfortable inside. The Entry Guardian is our newest home security AV intercom solution that lets you be in two places at the same time. 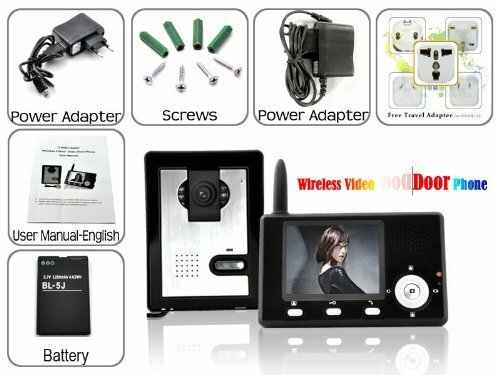 The innovative entry monitoring security system bundles a versatile wireless video monitor receiver with a powerful CMOS security camera wireless transmitter for total home and person protection. 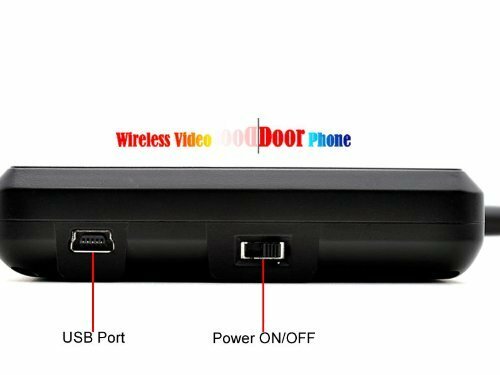 Versatile Video Monitor Wireless Receiver: With the portable receiver you can be anywhere in your home and clearly see who is at your door. You can even take a photo of your visitor should you need it later on: "Ma'am did you get a good look at who was at your door?" "Actually officer, my Entry Guardian allowed me to take a picture of him." 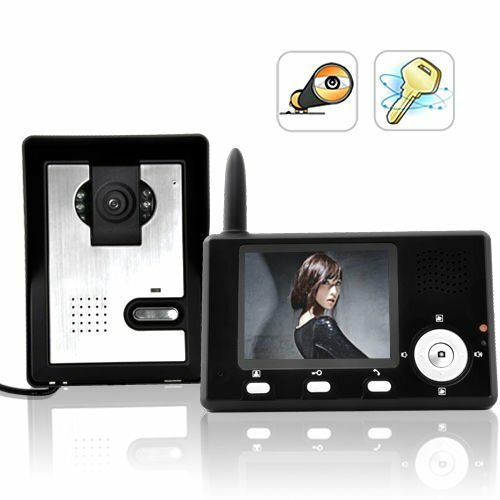 The CVMN-J20 receiver also comes with large 3.4 inch color screen which allows you to see your entry way with exceptional clarity, and features a MIC and speaker so you can talk to the person at the door. Doorbell! Hey that's mom and dad at the door. Simply press the Unlock button and let them in even if you're in the basement or backyard. 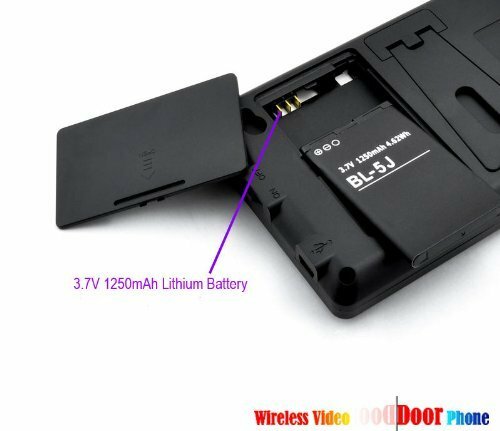 Powerful CMOS Wireless Transmitter: This amazing AV transmitter features a powerful CMOS camera sensor for picture quality and six infrared lights to provide surveillance even in darkness.